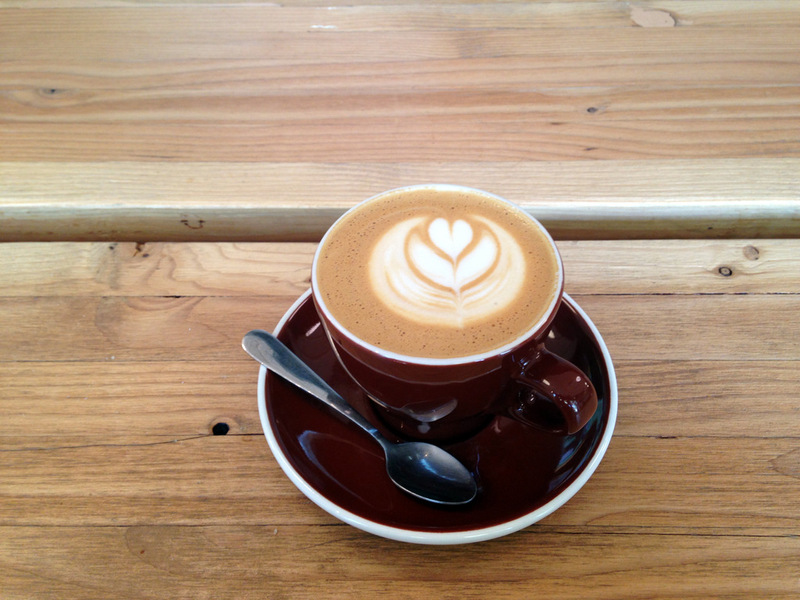 Here’s my list of around 20 coffee shops that you shouldn’t miss! I’ve been running a coffee blog since 2005 called Arizona Coffee, which covers the coffee scene here in Arizona. Over the years, I’ve had the opportunity to visit perhaps a hundred different coffee establishments in Arizona. From the coffee shops in Bisbee, way down in Southern Arizona, to the little shops at The Grand Canyon, I’ve been to most of them! Here is my list of coffee shops you shouldn’t miss during your trips around Arizona. 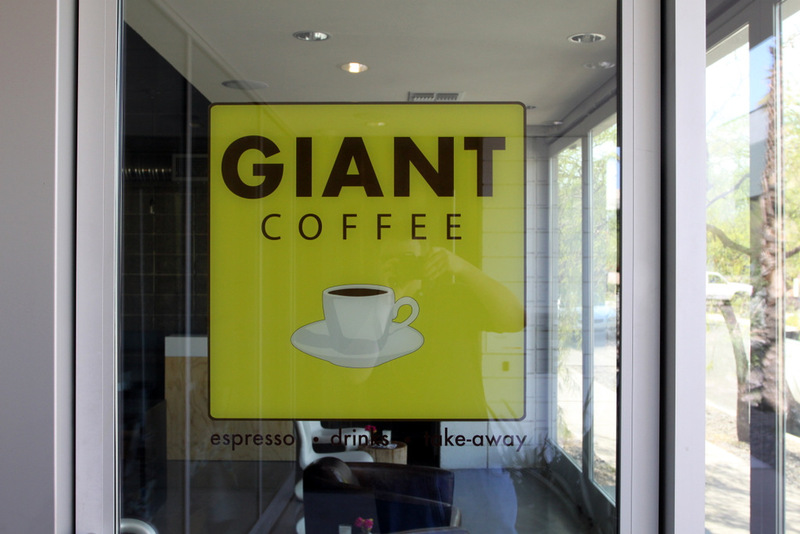 Phoenix — Located downtown, Giant Coffee is a traditional coffee shop with an impeccably clean and modern interior. Scottsdale, Sky Harbor Airport, and soon Tempe — Multiple locations, and one of the best in Arizona. Serving classic espresso drinks, including cappuccino’s, mochas, and coffee. Phoenix, Scottsdale, Tucson, Sky Harbor Airport, and Tempe — One of Arizona’s finest coffee roasters with locations across the state. 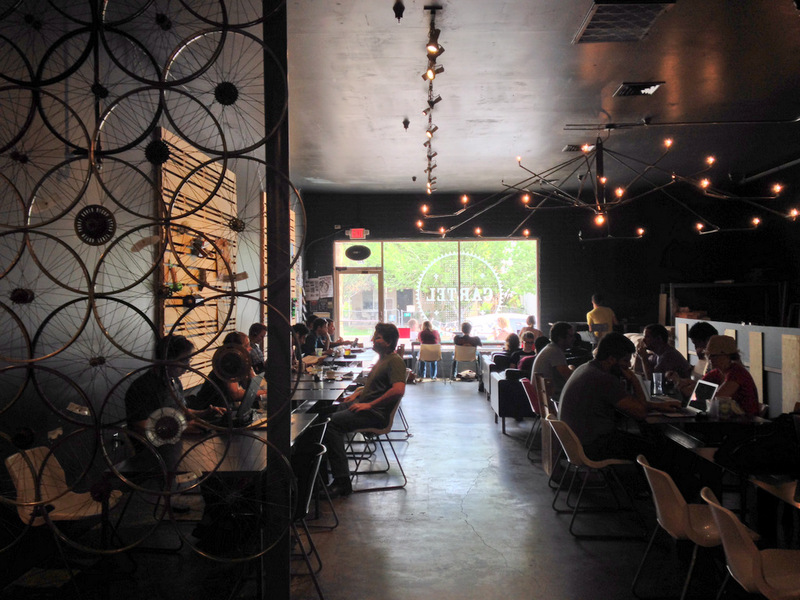 Cartel is known for constant experimentation and for its original location near ASU. 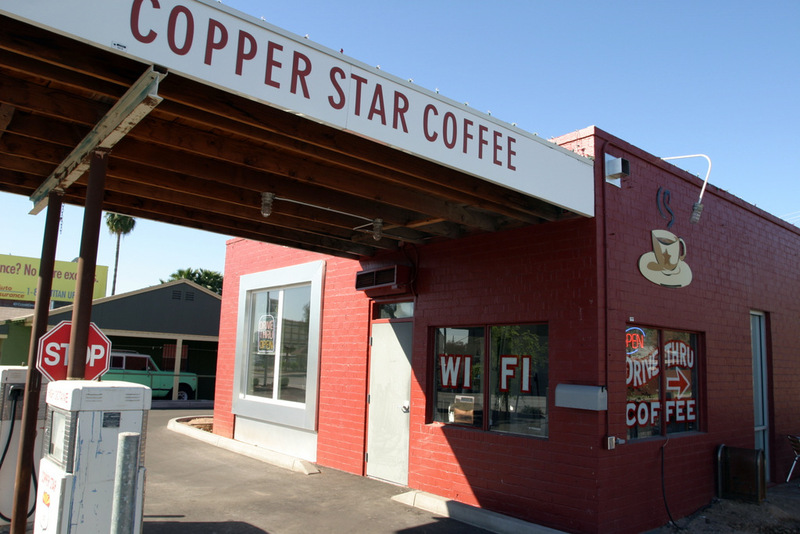 Flagstaff, Sedona — Two locations in Northern Arizona, with roasting operations in Flagstaff. Firecreek Coffee in Flagstaff is located on Route 66 and often has live music! Tempe — Solo Cafe makes great coffee, has a terrific interior with beautiful artwork, excellent baristas, and free wifi. It’s on of my favorite stops when I’m in Tempe. Gilbert — Also a restaurant, this coffee shop / diner serves up some of the best food and drinks in Arizona. The coffee bar inside Liberty Market is separate and has its own coffee bar. Everything about Liberty Market is amazing, and if you are near Gilbert you should head in that direction. Phoenix — located just north of the downtown area on Central Ave. Lux is perhaps one of the few AZ coffee establishments that surely produces over 1 million dollars of revenue a year. They have a ton of business, and serve amazing espresso and food. A few years ago they purchased the building next door to their old place, and expanded into a very large new facility that is beautifully designed with amazing furniture. Prescott — Located just to the west of Prescott’s Whiskey Row (one block west), Wild Iris Coffee House serves delicious coffee and has a huge baked goods rack. The building is rather large, and fits inside what looks like an old victorian building. They’ve got a really cool selection of couches. Phoenix and Sky Harbor Airport — They’ve got locations in downtown Phoenix, as well as at the airport! Terminal 4. Good option for breakfast as well. They have been roasting coffee in Arizona for years. Bisbee — While you’re in Bisbee, there’s only a couple of coffee shop options and Bisbee Coffee Co. should be one of them. They roast coffee and operate a coffee shop in downtown Bisbee that’s fun to visit. Phoenix — A small local coffee bar / wine bar with an excellent Nutella Mocha. Jeff, one of the baristas at 32 Shea has been very active in the coffee scene here in Phoenix, and is placing and winning prizes at latte art competitions. Phoenix — Located inside an old mechanic’s garage and gas station on 7th Avenue in Phoenix, Copper Star Coffee sports an awesome two-door garage that they open when the weather is cool. Mesa — Located on Main Street in Mesa, this coffee house serves traditional espresso drinks and tea, as well as food and other beverages. Phoenix — Located in an older home in the downtown Phoenix region, Jobot serves up traditional espresso drinks, and also serves a variety of breakfast and lunch options, including fresh baked pastries. They’ve also been serving crepes and sandwiches. 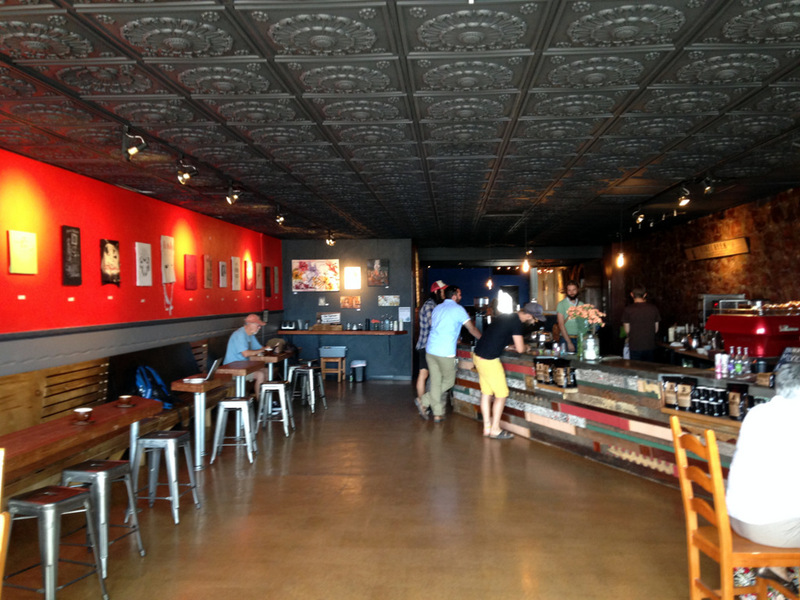 Tempe — Crepe Bar is a breakfast and brunch restaurant that serves terrific espresso drinks, and often hosts latte art competitions and participates in the valley coffee scene. If you’re looking for a delicious crepe from a restaurant that knows how to make a perfect espresso drink, then head over to Crepe Bar. Phoenix — Located on Roosevelt in downtown Phoenix, Songbird Coffee & Tea House serves delicious espresso drinks and liege waffles. They’re located inside MonOrchid, a creative building in the downtown area. Scottsdale — A valley favorite and Scottsdale destination. 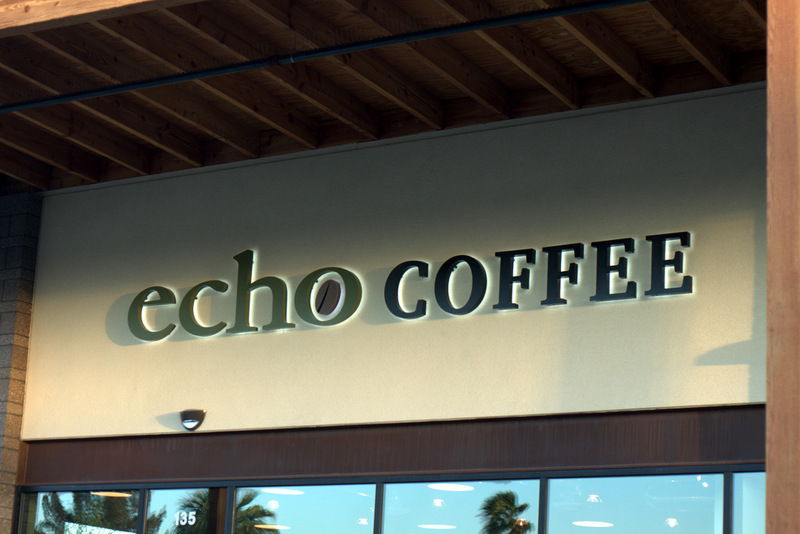 Echo Coffee roasts and serves coffee and provides plenty of open working space for those wanting to get stuff done. They know how to roast and serve excellent coffee. Tucson — Have you been to Sparkroot? This place is located at 245 E. Congress St. in downtown Tucson. There’s plenty of seating indoors, and they’ve got amazing drinks. 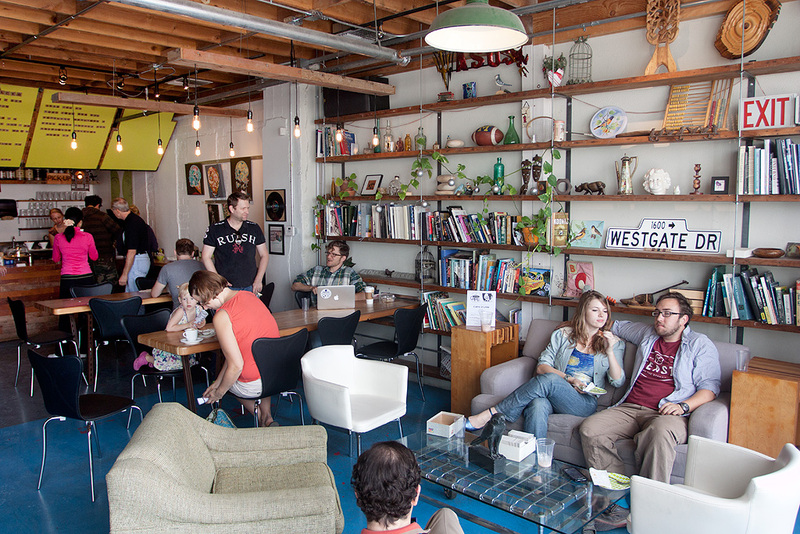 Tempe and Phoenix — A definite winner in the local coffee scene. 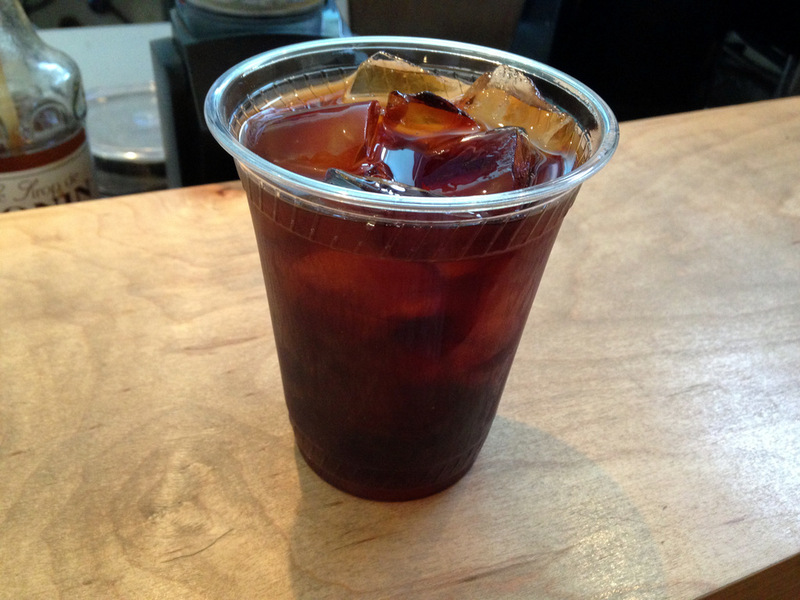 Royal Coffee Bar is a valley favorite for coffee lovers. This is a personal favorite of mine, ever since I found it last year. This is a micro-coffee shop, with just a few seats in a barely 100 square foot building on 16th St.
Did I leave your favorite coffee shop off the list? Leave a comment below sharing your favorite place to get coffee in Arizona! 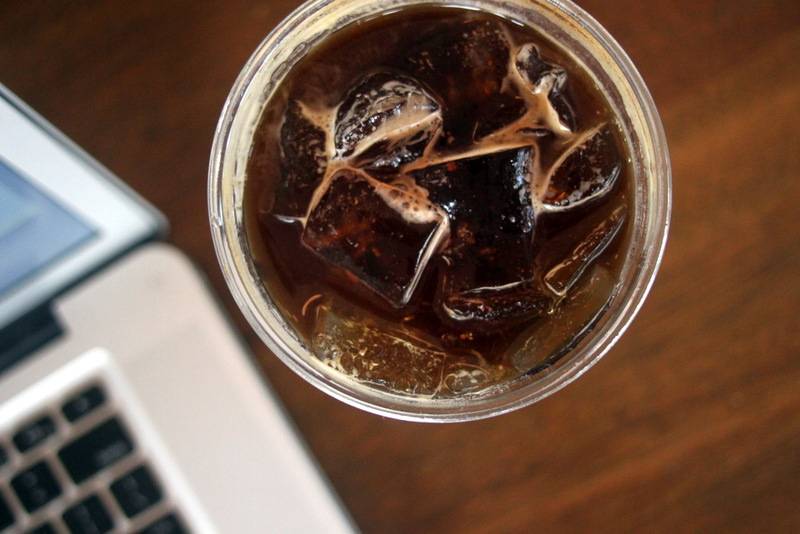 If you’re interested in seeing a list of coffee shops in AZ, the arizonacoffee.com list is where you can find that. You missed the Southeast Valley’s #1 secret! Coffee Rush has 3 locations in Chandler and Gilbert: Dobson/Ray, Gilbert/Baseline, and Val Vista/Elliot! Check ’em out! You are so right, I missed them. They are a fun coffee shop. I’ll include them in any future updates. 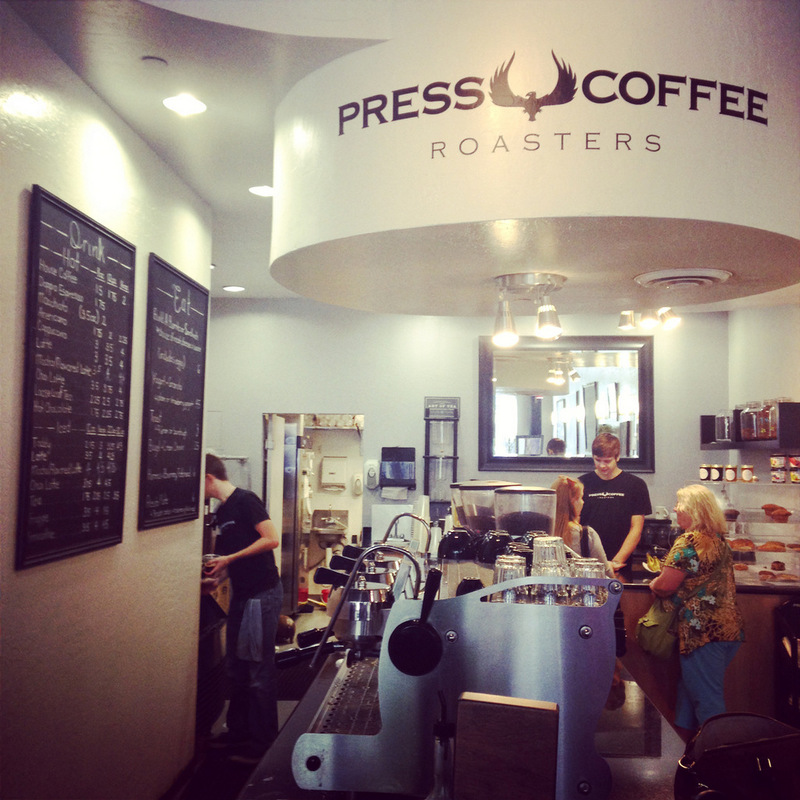 Any coffee roasters — not houses, but actual roasters — in Prescott? Would love to see a list of your top favorite coffee shop patios! Great question! I’ll ask around and do a post before too long. 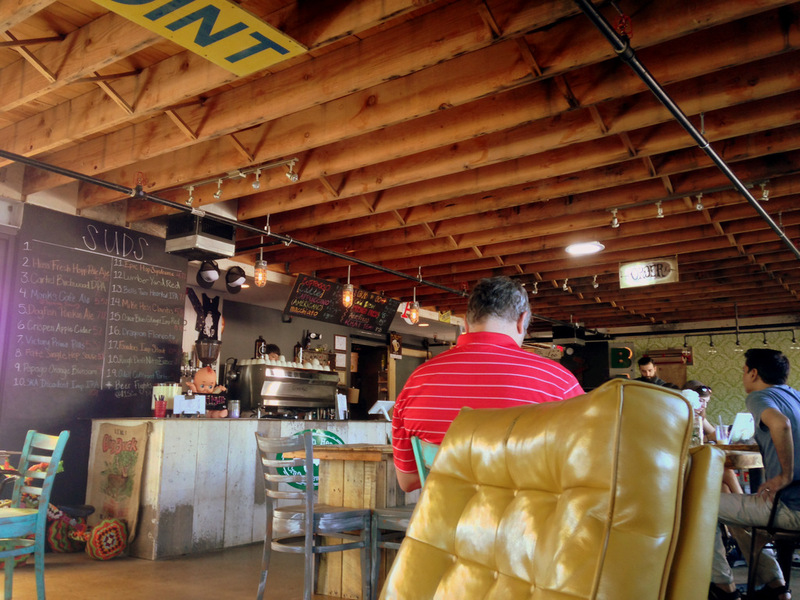 Tucson Coffee Roasters in Tucson is a hidden gem! Talebu Coffee in Chandler has a great latte…iced in summer, hot in winter.